Police have confirmed to TrinidadAndTobagoNews.com that around 11:15 a.m. today, Abdel Nur turned himself into the West End Police Station in Diego Martin. 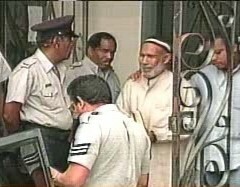 Nur was later transferred to a Port of Spain police branch. Mr. Nur, together with Abdul Kadir, Kareem Ibrahim and Russell de Freitas, is accused of planning to commit a terrorist attack on the John F. Kennedy Airport in the United States. 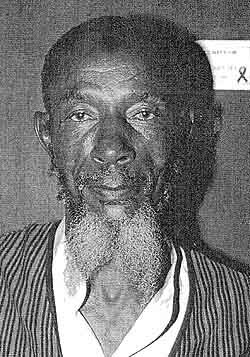 Yesterday, the police had called on the public to be on the lookout for Nur stating that he was armed and dangerous. 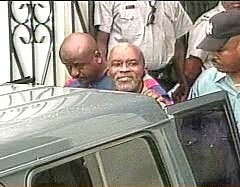 Two of the accused, Abdul Kadir and Kareem Ibrahim appeared in the Port of Spain court yesterday, charged with conspiring to commit a terrorist act against the United States. Another man, Russell Defreitas, was held last weekend in New York City. He has since appeared in a New York court. from Jamaat al-Muslimeen to Hugo Chávez? I do not understand what all this is about. Look at these men… do they even look like they can carry out such plot? No money, no equipment, no support nothing!These men are innocent men. Bush is the true terrorist here. Where are the weapons of massdestruction? None to be found, and they are still in Iraq.They anted to “save” the Iraqis from Saddam,he is dead, and they are still in Iraq… doing what? Terrorising and killing innocent people over there. Get the HELL OUT!!! I have no clue as to what Bush and the U.S think they are doing, but God is Good,He sees and hears all things and He is the best of planners.So when America and Bush plan to put away innocent Muslim people for no good reason, remember- We all have to account for the deeds we have done. My advice to you and America is seek God because you are heding straight for HELL with those actions. Justice will be served and all menwill get their deserved punishment.And as for those people who refer to terrorists as “Muslims”-Check yuhself! He is truely innocent and knows he has done nothing, that’s why he surrended. He knows he has absolutely nothing to run for. May ALLAH bless him. I am truely shocked to hear that they had a “man hunt” for this man. Look how old he is- what could he possibly do? People have even testified that they knew him to be very good. Who are we to believe- those closest to him / family or what America says? DOes America even know these individuals. As usual they shove their noses into everybody’s business and start prattling without knowing anything! God ‘GUIDE’ America. Not ‘BLESS’ them. Two officers of the Federal Bureau of Investigations (FBI) trained in counter – terrorism now have a list of names, addresses and pictures of Trinidad and Tobago, and other Caribbean nationals, believed linked to the plot to blow up fuel tanks at New York’s JFK airport, and other planned terrorist activities. THE discovery of a so-called plot to destroy JFK International Airport in New York has put a lot of pressure on Trinidad and Tobago and Guyanese nationals living here. And for those of us arriving in New York from Trinidad, one of the questions being asked by Immigration officials is if you know the four men held for an alleged bomb plot at JFK Airport. Is the FBI an entity of the Government of Trinidad and Tobago that they can get access to bank accounts at local banks, and keep the government out of the loop? when are we applying for 52nd State statehood? Co-operation which Mr. Manning offered, is beginning to look like surrender. When we were trying to access bank account information from London on the Airport Corruption cae, it took us months, and the hiring of forensic auditors, and millions of dollars. MAybe we should have just designated the corruption suspects terrorists. We could have obtained all that information for free, and put the money saved into hospital improvement.